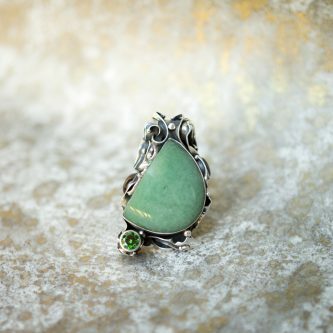 Green Agate embodies the Earth element and provides stability and gentle support for life’s struggles. This stone detangles confusing circumstances and messy relationships. Green Agate promotes growth, prosperity and health. Physically, Green Agate heals glaucoma and other eye issues and promotes stability by protecting a person from falling. If worn continuously, it can enhance fertility.